I am always very happy to receive gifts and feeling very lucky that all my friends have such good taste. The shirt, bag, purses, and scarf from them are so easily matched to other stuff of mine. Therefore, naturally, selection and sending gift to my best friends is as excited as to receive them. Last week, I had a trip with some of my best friends. Of course, I spend quite some time thinking, searching, selecting and finally getting gifts for them; which, in my eyes, are perfect and fantastic. At the time of payment, I can even image their face with joy and appreciation. And it turns out again that all of these feeling are just out of my unrealistic imagination and I am just moved by myself. One of my friend returns the gift back to me. Even though I was joking with her by saying “if you do not like it, return it back to me” when she show some dislike, I have to admit I felt hurt and cried a little bit in the rest room. As someone easily moved into tears even watching The Smurfs or Pacific Rim, crying is not such a big deal for me. However, it’s just a shock for me that someone would really return the gift back; “It’s such a perfect, navy-and-white, striped t-shirt from Massimo Dutti, anyone would like it”. Finally, I sort it out 24 hours later. Maybe, in some cases, gifts would only make the sender happy rather than the recipient. For senders, gifts are not only signals of love and care; “WoW”, “I love it”, “You are so kind” are messages to reinforce their virtues or good taste; and receiving appreciation and gratitude would help them to build up the self-esteem. For recipient, gifts can be just a burden. Emotionally, since our DNA is coded for altruism, recipients are supposed to return something back; otherwise, he or she is debited. And physically, gifts should be kept well since they are symbols of friendship; which are such a burden for house moving. Another friend treated me to dinner which I think would help her set the debt, since she has not prepared any gift for me. I asked her to deliver gift to another friend (friend T, who is living in the same city with her). I did not except much appreciation from friend T; because firstly the gift to friend T is a travel wallet and she does not like travel at all; secondly my dear friend T has posted an article 2 years ago to talk about all the “marvelous” gifts from me, a black flower like brooch which she thought can only be used for funeral (of myself, maybe), a clock made from sponge which cannot be toughed, and a pair of ear rings in the shape of flower which is too heavy to be worn. 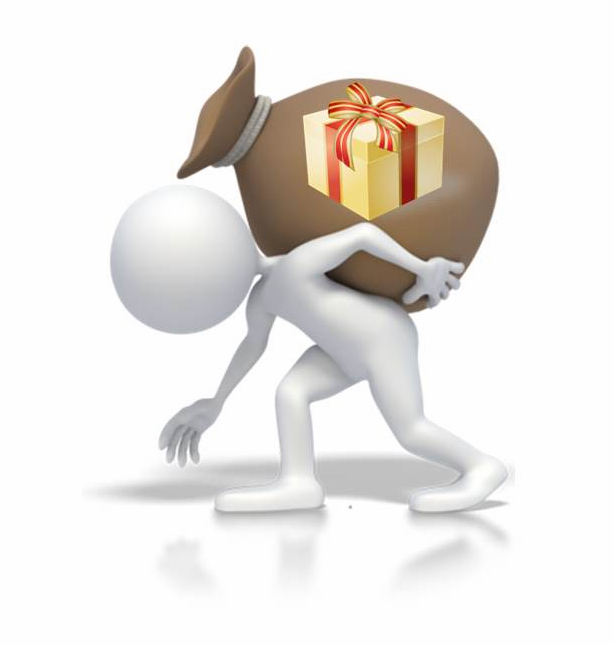 Somehow, by changing my perspective to sending gift would help me save some time and money; which can be used in other ways to build up my self-esteem like reading books and shopping for myself.